Challenge yourself to sew a lightly tailored jacket! 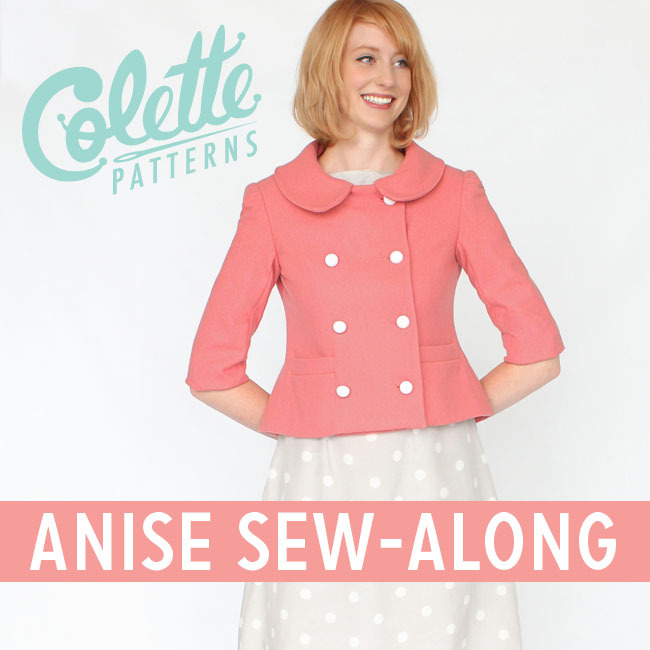 The adorable Anise is a great introduction to the world of jackets and coats. You’ll learn many new techniques, including how to make bound buttonholes, create single welt pockets, and insert a jacket lining. It’s easier than you think! Today, we start fitting. I’ve started a Flickr group for us to share progress and ask questions. Please jump in and hep each other out there. I’ll help as much as I can, but it’s impossible for me to answer everything! On to our checklist for today!